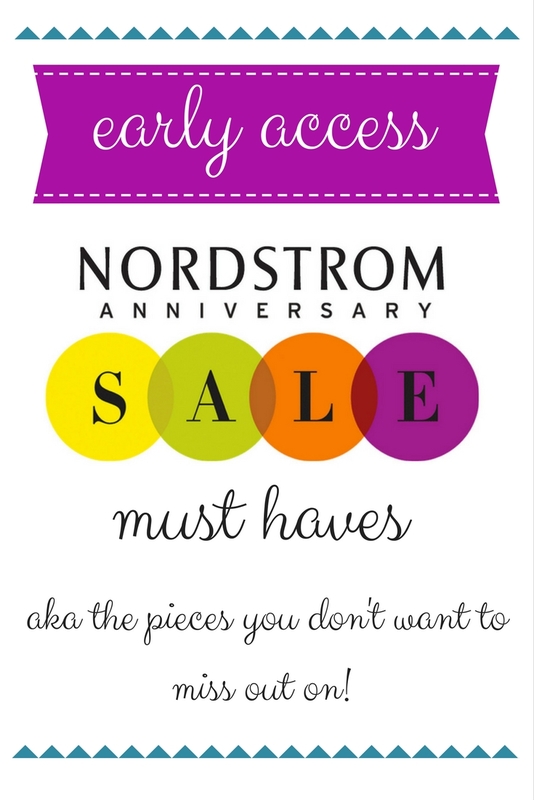 Nordstrom Anniversary Sale: Must Haves & a Giveaway!! I’m sure by now you have heard PLENTY about the Nordstrom Anniversary Sale! You know what it is and my favorite picks, but after yesterday’s kickoff, it’s obvious what everybody is loving! These top selling items will be the ones to go first, and it’s no wonder…fall staples on sale?! Yes please! PS Make sure to make it all the way through this post for an AMAZING giveaway!! 1. Easy Circle Cardigan (Now: $50 // After Sale: $75): This cardigan sold out day 1 of the sale last year and it looks like it’s currently heading in that same direction as the blush pictured above is already sold out! This year it was offered in 4 colors and a gorgeous burgundy, grey and taupe are still available. I ordered this one in taupe and am so excited to get it! I heard it runs large so I ordered an xs! 2. Leopard Scarf (Now: $12 // After Sale: $19): A $12 leopard print scarf?? Sold! Leopard is a neutral right?! I can picture this cutie with any of the tops, cardigans or jackets above and it’s lightweight enough that it will be perfect for early fall! 3. BP Cardigan (Now: $32 // After Sale: $49): The top selling item from last year is back! This sweater is a STEAL at just $32! I bought it in 2 colors last year and wore it repeatedly, so of course I snatched it up in a few more colors this year! This sweater is the perfect length for layering and one of my favorite pieces for work in the fall and winter! 4. Block Heel Booties (Now: $100 // After Sale: $150): The intricate detailing on these booties make them a stand out piece. These are a pair of shoes you can easily wear now and transition in to fall. I love that open toe!! 5. Suede Moto Jacket (Now: $126 // After Sale: $188 ): This jacket was another hot selling item that they brought back this year and it’s better than ever! This gorgeous jacket comes in 3 colors and I am obsessed with the “spice” color pictured above! I don’t see this jacket being in stock for long! 6. Suede Booties: The laser cut outs and split v side give these booties a unique spin. They come in 2 colors and have a stacked heel making them perfect for day to day wear. Pair them now with a dress and later in the fall with your favorite denim, cardi and scarf combo. 7. Cargo Jacket (Now: $79 // After Sale: $118): Everywhere I look, I feel like I’ve seen some mention of this jacket. A cargo jacket is a fall staple for me! It’s just the right weight for wearing in the fall when it’s chilly enough to need light layers but not cold enough for a full on coat. The pockets on this one add a fun military inspired touch, but it’s still classic enough that you will wear year after year! 8. Tory Burch Riding Boots (Now: $300 // After Sale: $500): I invested in TB riding boots last year and am SO glad that I did! Before them, I had so many pairs of cheaper riding boots that either fell apart or I couldn’t wear for long because they pinched my toes. I was looking for a great pair of boots to wear day after day that could take on the challenge of my teacher life (on my feet all day every day) and decided to make the splurge. If you wear riding boots a lot, I definitely recommend in making the investment! 9. Tory Burch Cross Body Bag (Now: $284 // After Sale: $428 ): This bag is gorgeous and I love that it comes in 3 neutral colors! The adjustable strap allows for it to be worn over the shoulder or as a cross body. 10. AG Jeans (Now: $150 // After Sale: $225 ): These jeans will definitely be sold out before the end of the weekend! I haven’t picked these up yet, but will definitely be purchasing today. AG jeans have an amazing fit and I love that this pair have no distressing, so I can wear them to work! 11. V-Neck Tee (Now: $16 // After Sale: $24): It’s all about the basics this year, and EVERYBODY is loving this tee!! I bought it in a few colors because a great tee is a staple in my wardrobe and hello?! $16 is a price that can’t be beat! 12. Tall Suede Boot (Now: $150 // After Sale: $225): These boots are gorgeous and at the top of my wish list. They have the perfect stacked heel and are a gorgeous shade of brown (or should I say “golden caramel”), although they also come in black and grey. I have a similar pair of boots that I wore all last fall and winter. They are perfect to take from work to the weekend! I decided to team up with some of my favorite bloggers and bring you an amazing giveaway. One lucky reader will win a mini Gucci Marmont purse. Use the widget below to enter the giveaway. The more “tasks” you complete, the more entries you will receive. The winner will be announced (on the widget) within 2 weeks of the giveaway ending. The giveaway is open worldwide. Those No. 6 boots are a must-have! I like your style! Too bad the blush cardi sold out because I love it! terima kasih banyak untuk artikelnya…. sangat keren gan…. I am so excited about this sale! I seriously can not wait!!! I've been eyeing those TB boots for quite some time. – BONUS EVENT LUCKY DRAW MINGGUAN…!!! I love that green utility jacket! Awesome picks, I love seeing what everyone else is finding in the sale!